Heavy on vegetables and lean protein, Chinese food is an Asian cuisine that can fit into a healthy diet. However, it often gets a bad rap as it’s notoriously known for it’s high salt content. As for those delicious sauces and steaming bowls of soup, they account for the majority of the added salt. But the emphasis of vegetables in the various dishes have many health benefits that make Chinese cuisine a healthy option when dining out. Think platter of large mushrooms, Bok choy, Chinese broccoli, Lotus root and eggplant. These vegetables are loaded with potassium and antioxidants. And vegetables are great if you’re trying to slim down. As for the rice, try to limit to 1 cup, as this amount packs in 240 calories. Better yet, order the brown rice, which has the same calories, but contains fiber and more B vitamins. For those with high blood pressure or salt sensitivity, either learn how to prepare this cuisine at home using less sodium, or manage your health when dining out and request steamed dishes with sauce on the side. And, of course, use the sauce sparingly. 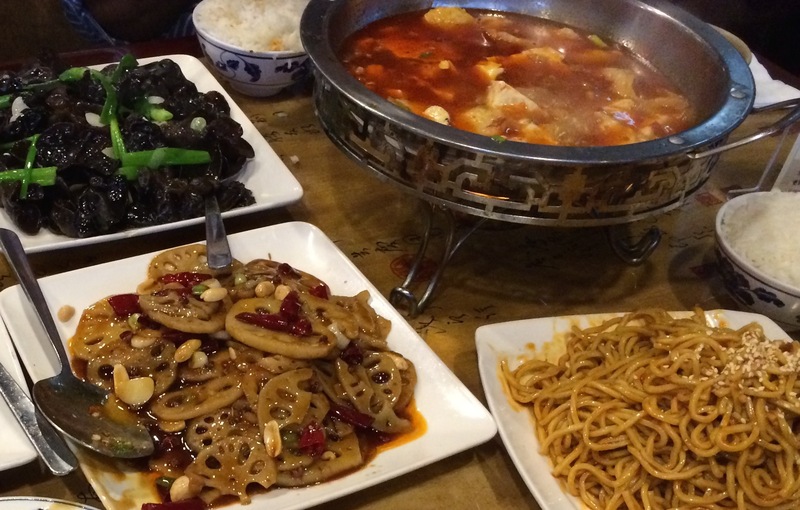 Check out the five tips below ro help you order healthier fare at your favorite Chinese spot. Ask your server to have your meal steamed with only a small amount of sauce or have sauce served on the side. Choose vegetable dishes with either tofu, seafood, or chicken as the protein source. Limit dishes served with red meat: beef, lamb, veal or pork. Avoid fried dishes and fatty meats, such as General Tsao’s Chicken, spare ribs, and fried rice. You’ll be saving an abundance of calories, as well as fat. If you have high blood pressure, avoid the soup. Order sauces on the side.